Disclaimer: Our Family World received the Wholly Guacamole products below in exchange for an honest review. Our opinions are our own. I have seen a lot of online buzz lately about Wholly Guacamole dips! All my bloggy friends who tried them are hooked! They loved it. I was thinking: It is just a dip and I do not eat lots of chips. Besides it isn’t even sold in my province! When I was invited to a Wholly Guacamole event during my Blissdom conference, I was curious to learn more about it and why my friends were just excited it about it. They were totally right: Wholly Guacamole dips are not just for chips! You can include it in many meals. It adds that flavor that keeps your guests asking again for it! Gluten free: which is great because I think my husband is allergic to gluten. We are waiting for the test results. Made with real Haas Avocados. When you uncover the dip, you can smell the avocado..
Watch detailed instructions from the chef Alex Thomopoulos! An Italian chef allergic to Flour! 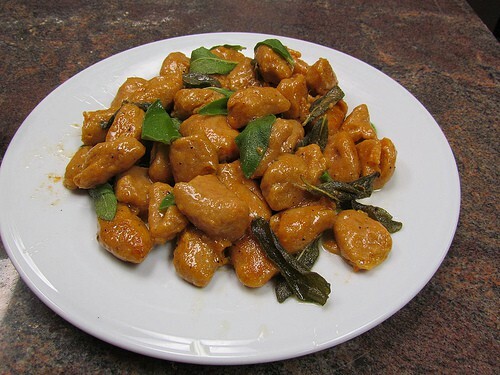 Another team prepared the sweet potato gnocchi. I prefer the Fritatta though (It’s not because I helped prepare it…well maybe a bit) but I am a huge fan of sweet potato. Check the recipe at the Youtube Hungry Channel. The recipes we prepared at the event were easy, quick and so delicious! When I got back home, I received this nice package from Wholly Guacamole. I barely had the time to take this picture before my husband opened the first dip: Wholly Guacamole Spicy Pico as a spread for his pita sandwich. It was delicious! I paired it with my shrimp. Although it was little spicy, my 11 year-old boy enjoyed it as a spread for his sandwich too! Then we tested those individual snack packs. They are very convenient for lunch boxes! I used them as a dip for my vegetables. And of course we tried them as a dip for our chips and for our nachos: Total perfection and delicious! Wholly Guacamole dips are not just for chips! For more recipes, visit EatWholly.com. Follow them on Twitter: @eatWholly and Facebook Wholly Guacamole. For more DELICIOUS pictures, check our Google+ album! Now my only wish is that my province will carry this brand soon! As I am hooked too! Want to try it? You can win it! One of you will win a cooler of Guacamole and salsa varieties similar to what I received! The Wholly Avocado Chunky dip. I want to try the Pineapple Salsa the most. I had gotten it before, but never got around to trying it before it went bad. I’d try it again by now, but don’t know where it’s sold at. I have tried all the guacamole varieties, but I’m anxious to try the Red Pepper Mango Salsa! It sounds delicious! i want to try the avacado ranch!! I would like to try the spicy guac! I’d love the Guac with Spicy Pico! Yum! Wholly guacamole chunky dip sounds delish! I would LOVE to try their Roasted Tomato salsa! I want to try the roasted tomato salsa! 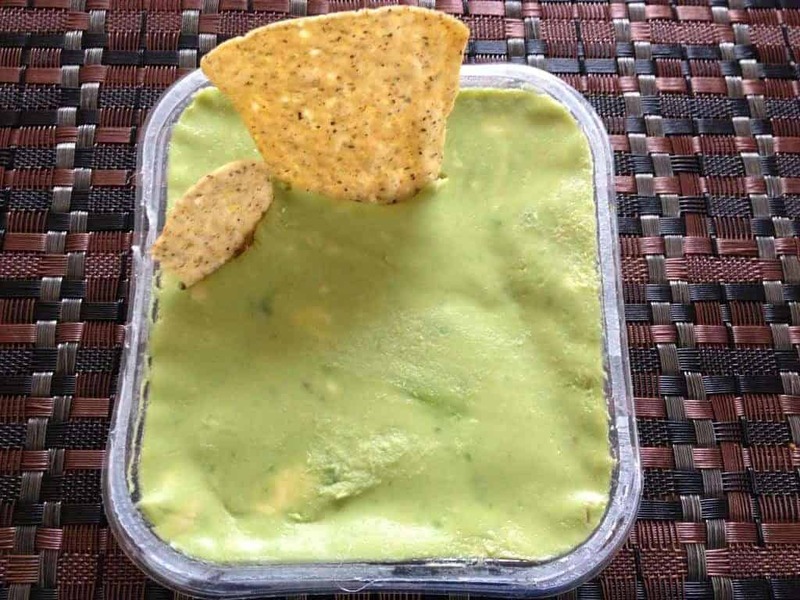 I would like to try the Wholly Guacamole® Homestyle dip! I’d like wholly guacamole classic. I would like to try the Guacamole & Spicy Pico. Mmmm….either the Red Pepper Mango Salsa or the Pineapple Dip. Yum. The Wholly Salsa Pineapple Dip looks so good! I need the 100 calorie snack packs. The Red Pepper Mango Salsa sound interesting; I ‘d like to try it first! I would like to try the Red Pepper Mango Salsa. I’d like to try the spicy guacamole dip. I would like to try the salsa. The Wholly Guacamole product I would most like to try is the Wholly Guacamole® Classic dip. I’d love to try the wholly salsa! I already love the guacamole. I want to try the Avocado Verde Salsa. I would like to try the Wholly Guacamole Organic variety. I’d love to try the Pineapple Salsa. I would love to try their classic Wholly™ Avocado Chunky dip. My wife and I love mangos and wait for them each Spring/Summer. I like to share with her but my wife demands she get a whole mango to herself haha. I would love to try the Red Pepper Mango Salsa! Thanks for the chance. I want to try the Wholly Salsa Pineapple Dip. I like the spicy guacamole, but I also like the classic. So many choices, so few chips! Love to try the spicy. Guacamole Spicy Pico is my pick-yum! 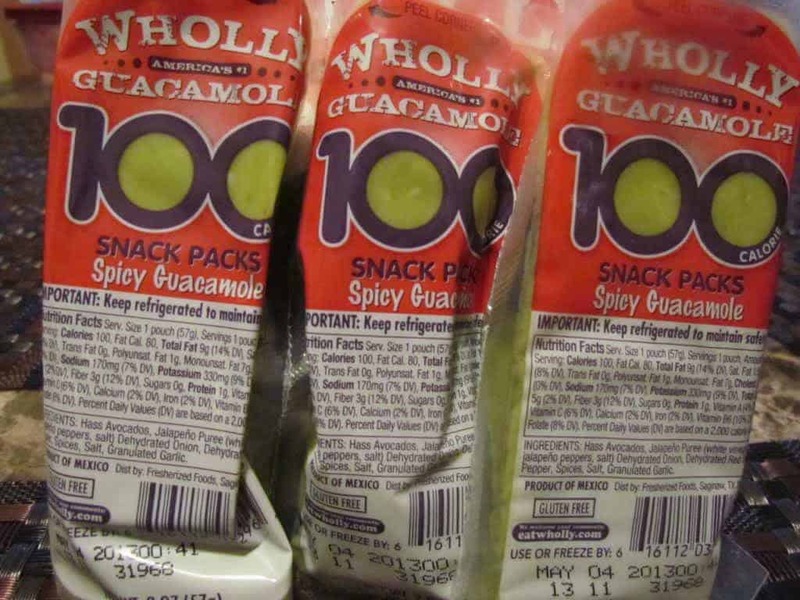 I love the guacamole 100 calorie packs – so convenient for lunches!! I want to try the red pepper mango salsa!! YUM! Or an guacamole! I LOVE guac! I’d love to try the Wholly Queso! I’d like to try: Wholly™ Avocado Chunky dip. Wholly Guacamole Spicy Pico, would love to put this on sandwiches and pita. I would love to try the Red Pepper Mango Salsa. I’m betting it would taste great with fresh corn tamales. I would like to try the chunky dip!! I’d love to try the salsa. The Guacamole with taquitos would be awesome! The guacamole, mostly so I can sing the “guac-guac-guacamole guacamole yeah” song from Sesame Street that ALWAYS gets stuck in my head. I would love to try the Guacamole Spicy Pico Salsa. Sounds delicious! I would love to try their classic guacamole dip. I would like to try the spicy guacamole snacks. I would love to try the roasted tomato salsa. Sounds yummy. I’d like to try the guac snack packs. I love the Avocado Chunky dip!!! Love that it can be used in everything!!! Pineapple Salsa is probably something I would like to try. I like the plain Wholly Avocado. I’d like to try the Wholly Avocado Chunky dip. I’d love to try the organic guac. I would love to try the Wholly Salsa® Pineapple dip. It sounds yummy. I would like to try the Wholly Salsa® Roasted Tomato dip. I want to try the Wholly Salsa® Pineapple dip! Mmmm!! The The Red Pepper Mango Salsa sounds yummy! I would like to try the Wholly Salsa Roasted Tomato dip. I think spicy pico sounds delicious. Thanks for the chance. I like the snack pack. Seems convenient, and useful for a busy night. wow ! I need to try ASAP . I love the wholly salsa, and the fact that its all non GMO!!! Red Pepper Mango sounds yummy! The red pepper mango sounds awesome!! All sound good but I’d probably choose the Classic Dip initially. I’d like to try Chunky Avocado. I would like to try their Guacamole Spicy Pico Salsa the most. I’ve never tasted the Red Pepper Mango Salsa, but it sounds so good I’d love to try it. I LOVE LOVE LOVE the Wholly Guacamole Classic. SOOOO yummy! I want to try the Pineapple Salsa! We love the wholly classic guac but i really want to try the salsa-we have never tried that so far. I would love the spicy individual packs! I would love to win this great prize! I love guacamole dips.Would love to win this prize-who wouldn’t? I like the Avocado Chunky dip! I would love to try the Classic Guacamole. I’m excited to try the classic guacamole. The Wholly Salsa pineapple dip sounds really interesting. I like to try the Wholly Salsa® Guacamole & Spicy Pico dip. My favorite is the WHOLLY CHUNKY AVOCADO bc I crazy loveeee avocado AS IS… I peel them and eat them plain and they taste so rich creamy and indulgent on their own. I already love thei classic and spicy guacs, so now I’d love to try the salsa! I can’t wait to try the Wholly All Natural Salsa. Sounds yum. I’d like to try the Wholly Salsa Red Pepper Mango dip! all the recipes look so yummy! 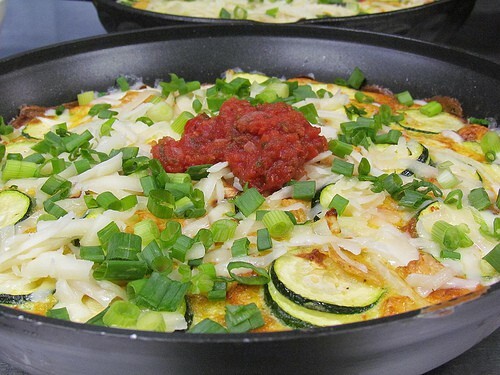 Southwestern Fritatta will be the first I try! Classic Guacamole for me. Love it! I’ve tried a few Wholly Guacamole products and have loved them. One product I’d like to try still is the Wholly Salsa® Guacamole & Spicy Pico dip. The Spicy Guacamole – they all look good though! I’d love to try the Wholly Salsa® Pineapple dip – I’ve never seen it locally! The red pepper mango salsa. Because it sounds just SO yummy! TY! I want to try the avocado chunky dip! I want to try the Wholly Salsa Avocado Verde dip. I’d like to try the guacamole. I’d love to try their Wholly™ Avocado Chunky dip! I’d like to try Wholly Salsa Roasted Tomato dip. I’d like to try the Roasted tomato salsa. 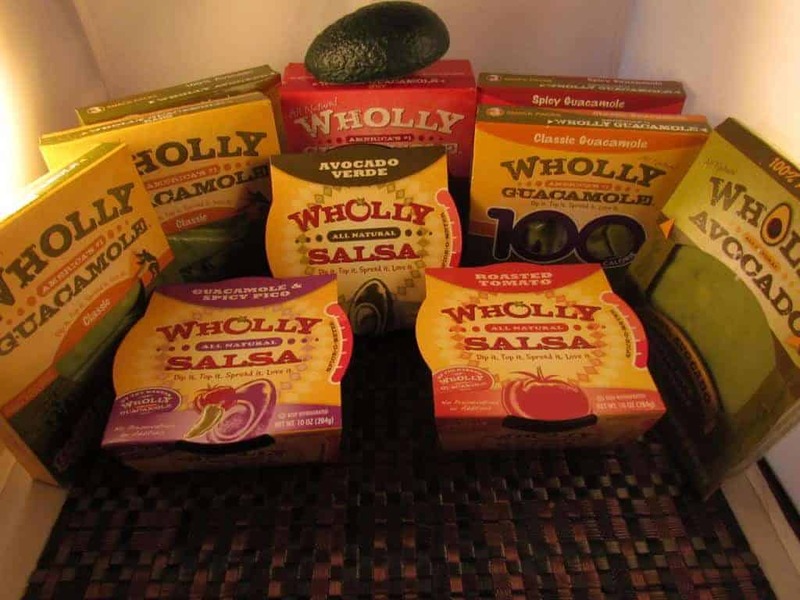 We love the Wholly Guacamole original! I would love to try the guacamole & spicy pico. The Wholly Mango Salsa sounds amazing! The snack packs, spicy guacamole look incredible!!! I like Spicy Guacamole snacks. Good question! I’d probably want to try the Wholly Salsa® Roasted Tomato dip first! 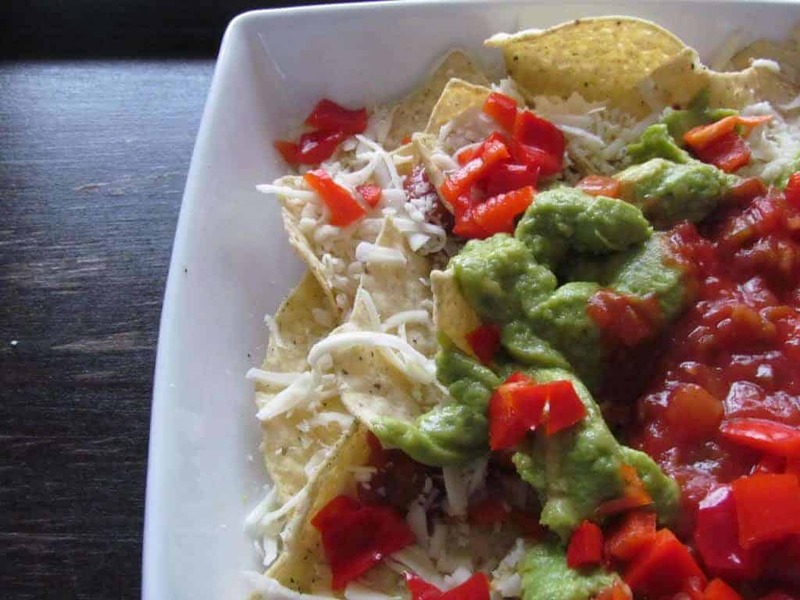 I’d like to try this one: Wholly Salsa® Avocado Verde dip. I would love to try the Classic one first. I want to try the classic Wholly Guacamole! It is very hard to choose, they all look so amazing.Truthfully, I really want to try ALL of them! But if I was forced to make a decision I would probably have to say the Wholly Salsa Pineapple Dip. MMM MMM! Wholly Guacamole® Avocado Ranch — sounds good to me. I’d like to try the Wholly Salsa Pineapple dip! The Red Pepper Mango Salsa sounds delicious!! Would like to try the Wholly Salsa Pineapple dip. I would most like to try the Avocado Ranch Guacamole. I love the classic guacamole as a spread on sandwiches and burgers. I would love to try the Wholly Avocado Chunky dip- looks delicious!! I’d love to try the guacamole and spicy pico! The snack packs, spicy guacamole . When Should You Stop Co-sleeping With Your Toddler? Make Math Fun for Kids with Zap Zap Kindergarten Math App!